Want to know what happened in Everless? Read a full summary right here! This page is full of spoilers, so beware! If you need a refresher on what happened in Everless, then you are in the right place! Jules lives in Crofton, a town plagued by poverty like many in the area. Time is currency in their nation. People can trade their blood and years for money to pay rent and buy food. Jules’s mother is gone. Her father has traded way too many of his years to keep them alive. Jules tries to sell her blood as soon as she can, the day of her seventeenth birthday. Her father won’t allow it. They’ll pay rent some other way. Jules’s best friend Amma is presenting herself to the royal soldiers to earn a place as a servant at Everless (the royal palace), so Jules goes to town to try to snag her friend’s old job at the butcher’s. But Jules also presents herself for servitude instead. The guards look the large group of women assembled over for beauty. Jules is selected as is Amma’s twelve year-old sister Alia. Amma is left behind because of a scar that mars her beauty. Jules is nervous about heading back to Everless because her family lived there many years ago. She was friends with Roan, the prince who is now engaged to marry the queen’s daughter. The evil Ivan is among the men who inspected and selected the women, but he doesn’t seem to recognize Jules after all these years. Hopefully that’s a good sign that she’ll continue to go unrecognized. Jules trades stable errand with a little boy too scared to visit Lady Sida’s room. Lady Sida says she thinks Roan is naïve to think he’ll get to marry the queen’s daughter. She thinks they sorceress eats their hearts to stay young. A lady in their bunk room tells Jules and Alia the story of how the sorceress and alchemist worked together to invent a way to seal time in iron and thus live forever by consuming it. Their experiments stole her immortality. The sorceress was furious with him because he knew this would happen all along. When they parted, the alchemist gave her pebbles that supposedly would give her time back. She didn’t trust him, so she force fed the pebbles to him and drowned him. But a silver shadow with a red gleam in the middle came out of the water. He had stolen her heart. Jules sees Roan for the first time. She’s a servant at a party for the nobles. He winks at her during his big entrance. Jules’s father is waiting for her when she runs down to the cellar to grab something. He begs her to come home. She promises she will soon. He cryptically says the queen can’t see her because she’ll recognize Jules for sure. The queen and her adopted daughter (Roan’s beautiful betrothed, Ina Gold) arrive the next day. Despite her father’s warning, Jules looks directly at the queen. When their eyes meet, the queen stumbles. The servant girl carrying her things touches the queen to help right her. No one is supposed to touch the queen, so she banishes the girl forever. Jules sends Hinton, the boy she traded tasks with on her first day, to help her father get home. That night, Hinton says he found her father in the cellar like she said, but then the old man disappeared when Hinton went to grab a horse to ride back to Crofton on. Hinton found him by the lake, holding a picture of his late wife and smelling of the tracking scent the Gerlings put in their vault to catch anyone who tries to steal from them. His palms were reddish-purple. He was mad with lost time and died. Jules is sick with grief and vows vengeance on whoever contributed to his death. At the whispering wall, Jules overhears a conversation between Roan and Ina in the hall below. It sounds as if the queen was attacked on her way to Everless, which makes sense when paired with the arrow-shaped holes Jules saw in the walls of the queen’s carriage. After Ina leaves, Roan and Jules converse at the wall, though he doesn’t know who she is. They talk of heartache and how things were easier when they were younger. He mentions the servants he used to play with, especially a girl who made up a game called fox and snake. It was Jules. Jules works hard in the coming weeks, hoping to win a placement as the queen’s servant. After banishing the first assigned girl, she’s been questioning others. No one can seem to pass her test. One night Jules notices a handwritten note is on the back of the picture of her father and mother, which references the tale of the fox and snake. Laura gives Jules the day off because she’s been working herself into the ground. Jules goes to Crofton to settle her father’s affairs and gather their belongings. Everything is gone save a note her father left behind. She discovers he wasn’t her father by blood or law, though he loved her as his own. He couldn’t put anything about her background in writing because it would be too dangerous to have it there for someone else to find. He just wants her to stay away from Everless and go live a quiet life somewhere. Jules sees Amma in town. They talk at length. Jules can finally express her grief over her father’s death. Amma says Jules is free to come home because Alia plans to come back to Crofton soon. Jules returns to Everless and once again pushes for an audience with the queen. She wants to start working toward answers in her father’s last words. Jules goes to the library trying to decide what to research to help to decipher her father’s warning. She sees Liam taking notes and researching something. She notices his palms are stained like Hinton said her father’s were. A servant comes to retrieve Liam, so Jules follows them. They make their way to the Gerling vault. Liam sends his companion on and confronts Jules about following them. She acts like he dropped a blood coin she wanted to return. He confirms it costs years to enter the vault and you never know how many. And he says your hands end up stained. This confirms what Hinton told Jules about how her father’s palms might’ve been stained. Liam asks her name and eventually lets her go. Jules bumps into Roan during her escape, and he asks her name, too, because he vaguely recognizes her. He knows he’s already seen her around the palace and then at her name realizes they were friends years ago. Her old attraction is there. He’s headed to an audience with the queen. She asks him to put in a good word for her so maybe she can get the job. He promises to do so and asks her to also serve breakfast to him and Ina sometime soon. Roan invites Jules the very next morning. She tries to look her very best. Liam has also sent for her. She is stuck working the mava berries instead of tending Roan’s breakfast. Liam joins her for a while, and the interaction between them is interesting. More is going on with him than meets the eye. Roan comes looking for Jules later that morning and is frustrated Liam kept her from serving him. Caro comes to get Jules to take her to Ina. Jules makes a good impression. Ina wants her to be her handmaiden. Time does its tricky thing for Jules unbidden during the visit. Then Caro takes Jules on to the queen for approval. Jules passes the self-sacrificing test and gains the job. Jules’s first assignment looking is for flowers for the wedding trellis. Roan appears. They talk for a while. Caro approaches and reminds him he’s late for an appointment with Ina. The two ladies pick the ice holly together. Caro comments on Roan’s seeming fondness of Jules. Jules is pleased but plays it off saying they were friends as children. Jules mentions working the mava for Liam as punishment. Caro asks what she was being punished for. Jules says for being near the vault. Caro asks whether she was trying to get into it. Jules says no, although she would love to see inside to look for a few missing family artifacts from when she and her father used to live at the palace. Caro says she will look for her sometime soon. In exchange for that, Caro would appreciate Jules watching Roan and reporting anything out of the ordinary to her. Caro says she and the queen will be gone for several days and asks Jules to care for Ina in their absence. Other than that, her time is her own. Jules feels a distinction between herself and the other servants because of her fancier garb as the queen’s maid. Liam comes to the kitchens to deliver a note from Ina. Liam comments on Roan’s fondness for her, saying he has something different in mind than mere friendship. He also says Jules and her father never belonged at the palace. She is angry that he mentioned her father because Liam knows he’s dead. Ina invites Jules to go for a ride. She bumps into Roan on her way to meet Ina. Jules wants to reach for him because her body feels compelled to touch him, but she restrains herself. Jules discovers their ride is to a nearby orphanage. Ina is secretly searching all of them throughout the kingdom for her birth parents. Ina sends Jules in to look at the records so she won’t be recognized. Jules realizes they were born just a few days apart…March 6 versus March 11. Jules is excited she could look for information about her own birth parents, too. The man at the orphanage gives her the ledger for that timeframe. A whole week is missing. He says that’s when time tremored. He says it especially affected Briarsmoor, a name that faintly rings a bell for Jules, although she has no idea why. People say all children in that town are cursed because that town lost half a day. When Jules tells Ina about Briarsmoor, she says she knows about it but the queen says it’s annihilated and cursed and forbids her to go there. Jules silently vows to visit it to looks for clues. Ina says she shouldn’t be so restless or dissatisfied since she’s getting married in three weeks and has always had everything she ever wanted or needed. Jules tries to find excuses to get close the queen once again. One morning she sees her looking particularly rough, with either red lipstick or blood around her mouth. Caro ushers the queen away and announces the two of them are going to take Ina out for a day of fun. Ina and Caro dress Jules up, put makeup on her, fix her hair, and get her to loosen up with a little wine. Then they make their way to a tavern. Caro seems surprised to learn about Jules’s adopted father and that she recently discovered she was orphaned long ago. Jules is surprised to hear that the entourage won’t stay at Everless after the wedding. She’s sad that these women and Roan will be gone soon. When they leave the tavern, she notices Addie, the girl banished after touching the queen, nearby. Addie mentions how she’s better off in this new job Liam helped her get. Jules is surprised to hear that Liam helped this girl. Addie says he’s here often doing his research. He’s here right now, in fact. Jules goes back to confront him. Liam tells her to get away from Everless and reveals he knows her papa was her adopted father. He offers to walk her home, but when he goes to pay his tab Jules snags the journal he takes all of his notes in and runs. When she gets a safe distance away, Jules looks through it. Her eyes snag on the familiar stories he’s recorded, those she told him and Roan when they were children, including the fox and the snake. Ina and Caro spot Jules and approach her. Liam’s not far behind them. His words are laced with double meaning. Jules knows he knows she has his journal. He seems to be telling her to follow the advice in the stories she used to tell. When they part ways, Caro says they’re going to go to a hedge witch. She just discovered Ina is interested in her parentage and says this witch can do blood regressions. Ina and Cora are afraid to go first, so Jules gives it a try. She drinks the potion and listens as the witch chants. Her memories flash back earlier than she can ever remember, to her birth parents. Her mother sings to her as she holds her. Then her mother says to take her and run. A man, presumably Jules’s father, does so. When she comes to, everyone in the room looks frightened. Ina tells her she was speaking, some in their language and some in another. Caro refuses to go, but Ina gives it a try because she desperately wants to know about her past. Nothing happens for her. The witch holds Jules back as they’re leaving to tell her she’s a fraud and has no idea what happened with Jules. Back at the palace, the queen awaits them. She looks normal, well put together and nothing like the rough version Jules saw that morning. She’s furious about how they’ve spent their day. She says Ina and Roan will accompany her to the temple tomorrow to beg forgiveness for their actions. Caro and Jules are ordered to stay behind. When she’s alone, Jules looks through Liam’s notebook. Most of the notes are about taxes and other mundane things. The next morning, Ivan is there to punish someone for attempting to get into the Gerling vault. It’s Caro. She was surely trying to get in to look for a family artifact for Jules like she said she would. They’re going to take the maximum punishment from her blood: forty years. Jules tries to negotiate, but Liam pulls her from the room. Jules rushes to the bloodletter in town to withdraw forty years to repay Caro. He tests a drop of Jules’s blood to make sure she has that much left to give. The flame testing the blood never goes out, seeming to say she has eternal life. He reluctantly agrees to take the forty years. He will only withdraw ten years at a time. Jules feels weak and strange after even this smaller withdrawal. Jules faints and is driven to the castle by a merchant. She stumbles to Caro’s room and rushes to melt the three of the ten one-year blood irons into warm wine. When Caro drinks it, she chokes and sputters. Time stops for Jules, and she uses something like the Heimlich maneuver to knock the coins out of Caro’s throat. They have melded into a solid gold sphere. Caro seems suspicious of Jules and her intentions. Jules picks the sphere up, and it morphs and melts and climbs up her arm and re-enters her body where the cut initially withdrew it. She sits with Caro that night. Jules has another bad dream about her past, this one making her wonder if she’s tied to the sorceress somehow. The dream wakes her, and when she shifts to pull the covers over Caro again, she notices her hands are pale and there are no marks from bloodletting. They lied about her going into the vault and about her punishment. Jules goes in search of the truth at the Gerling vault. She doesn’t hesitate to try to open it, not caring how much time it takes from her to let her in. She sees many precious jewels and other items, but the one that interests her most is a book. It was her papa’s and says Antonia Ivera on it. Jules has no idea who that is. One word jumps out at her: Briarmoor. She decides to go there. When Jules arrives, she sees a woman in a nearby cottage. Her name is Rinn, and she invites Jules in. Jules learns Rinn is stuck in a time loop of some sort. She thinks the village is intact and everyone is still there. From Rinn’s various tales, Jules deduces that her visions have been about her parents as she has suspected. Her birth father was an eccentric man fascinated with time. Ironically, she was blessed with her time gift at birth. Her papa is actually her uncle, who’s the one who ran away with her to keep her safe. She had a twin sister, Ina, who was left behind and snatched up by the queen. And it seems like the queen and the sorceress are one and the same. Jules realizes she might be the snake in the story from her youth. She might be the one to fear, not the queen/sorceress. But she doesn’t know why. She just knows she can’t go back to Everless. Jules now knows she should heed her papa’s warning to stay away from the queen. She has to go back to grab her money and clothes, but then she’ll leave forever without saying goodbye. Jules somehow gets in and out of the castle without being seen. But she runs into Roan in the gardens. Since she thinks she will never see him again, she boldly asks him if he loves Ina. He says he doesn’t, steps close to Jules, and kisses her. Liam walks up on them and says he’s placing Jules under arrest for stealing from the vault. Jules is disappointed Roan doesn’t even fight him on this. When Liam takes her away, it’s not to prison. He takes her to a large, distant city where she can get lost in the masses of people and build a new life for herself. She confronts Liam before he leaves and asks what all he knows about her. He saw her not just stop time but turn it back to save Roan after he pushed him into the molten gold all those years ago. He says he never meant to hurt his brother and is so glad Jules saved him. Liam says he was glad when Jules left Everless and was safe. He tried to check on her. And then when she reappeared at Everless, all he wanted to do was try to drive her away because all he’s ever wanted to do is keep her safe. He says he’s not her enemy but she has enemies at the palace. Jules wants to put her hands over her ears because she doesn’t want to believe what he’s saying. Liam has spent all these years researching every book in the whole kingdom, trying to piece together the truth and match legend and myth to reality. He has concluded the queen is the sorceress and Jules is the alchemist. Liam wants Jules to stay behind, but she has to get to Ina. The queen thinks Ina’s the alchemist and could go after her at any time. When Liam is just a little bit ahead of Jules, she pauses time. She thinks he knows what she’s doing, but she passes him and rushes to the castle anyway. Those in the castle seem to be in slow motion, too. One of the first people she comes across is Roan. She doesn’t explain why, but she tells him to go to Ina and keep her safe. Jules rushes to the queen’s room and gives a flimsy excuse. She says Ina’s sick and needs her at once. But the queen has figured out who the true alchemist is. She calls her Antonia, the name on the book her papa risked his life to put in the vault. Jules realizes it’s her name from a past life. Jules realizes she wrote that book. Then she hears someone behind her. It’s Caro. Suddenly the queen is behind her, too. Caro touches the queen, and she drops. Caro is the true queen and figured out Jules was a reincarnation of the alchemist for sure when the time crawled back into her arm. Ivan appears with Roan in tow. Caro tells him to leave Roan with them and return in five minutes. Ivan tosses a knife for her. The queen rises and rushes at Caro. Caro kills her with the knife. Caro says she wants Jules to know what it feels like to lose the one you love the most in the world. She’s sensed the connection between them the whole time and slices Roan’s throat. Ivan reappears in five minutes as promised, and Jules is arrested for the murder of both the queen and Roan. She fears what Ina thinks about her because all she’s going to hear is Caro’s explanation. Ina doesn’t know the truth about what’s going on. She doesn’t even know the two of them are sisters. Epilogue: Liam appears at Jules’s cell. He tells her Caro is questioning everyone in the city to figure out those Jules might love and those she can use to hurt her. He’s helps her escape the cell. She feels something for him but knows he can’t go with her. She doesn’t want anyone else hurt because of her. There you go! That’s what happened in Everless, the first book in the Everless series! 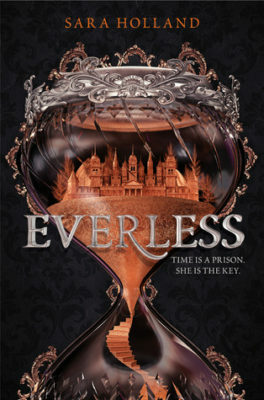 Want to own a copy of Everless or the upcoming sequel Evermore? Click to buy and help us pay for hosting! 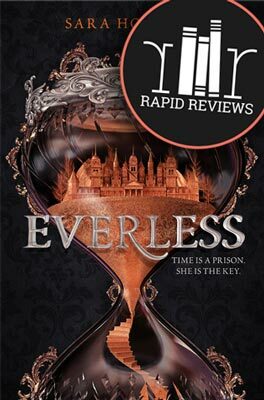 Oh and share this with your friends who might like to read a recap of Everless. Oh how much I’ve forgotten about this book! A LOT happened!